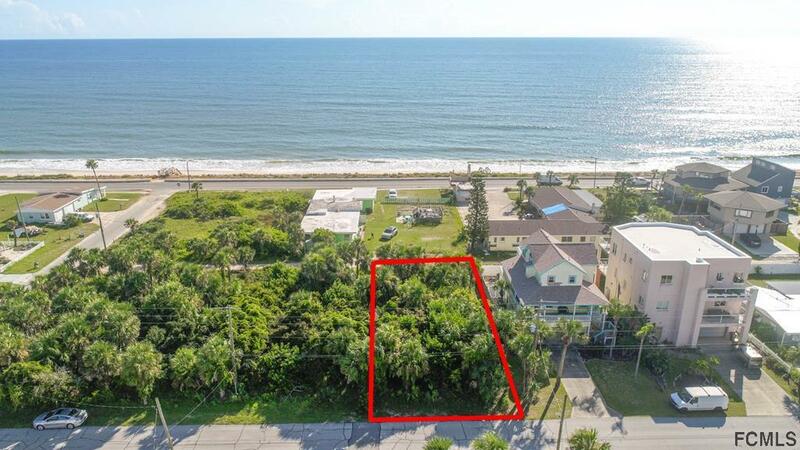 Ocean Views from this S. Central Lot in Flagler Beach, Florida.... And, just Steps to the Ocean.... 50' x 100' with an alley behind which is value added.... Flagler Beach has the most amazing ocean views for miles and miles and miles.... nothing but.... 'You & the Sea'.... 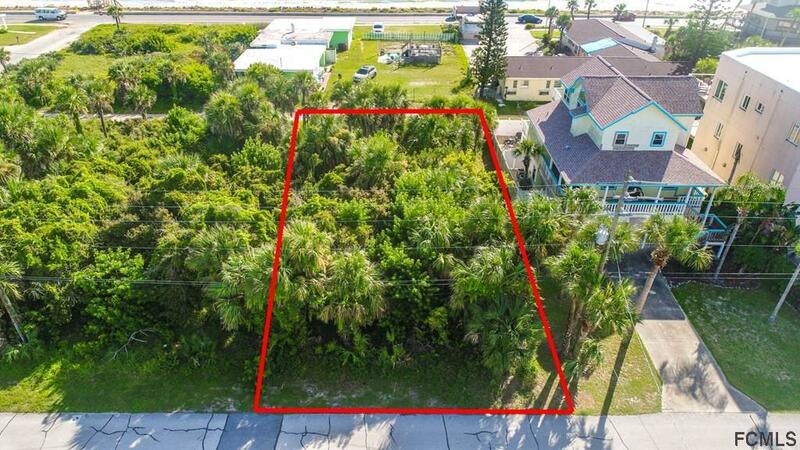 This Beautiful Beach Property has not be cleared, so, there are many Palm Trees for your Landscaping.... 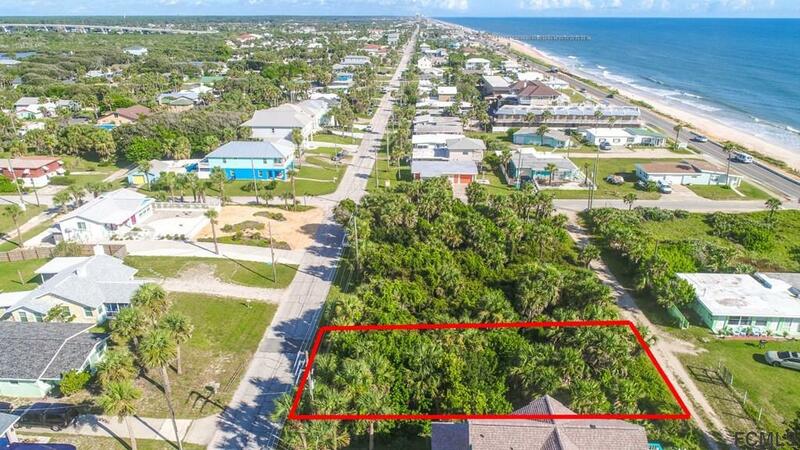 The Beach is just a block away with a public beach walk-over at S. 13th Street & A1A.... And, this part of the beach allows pets.... Centrally Located, Flagler Beach is a Charming Seaside town just 30 minutes North of Daytona Beach, 45 minutes South of St. Augustine and within 1 hour of Orlando, Disney & Jacksonville..... Build exactly what you want.... New is always better! 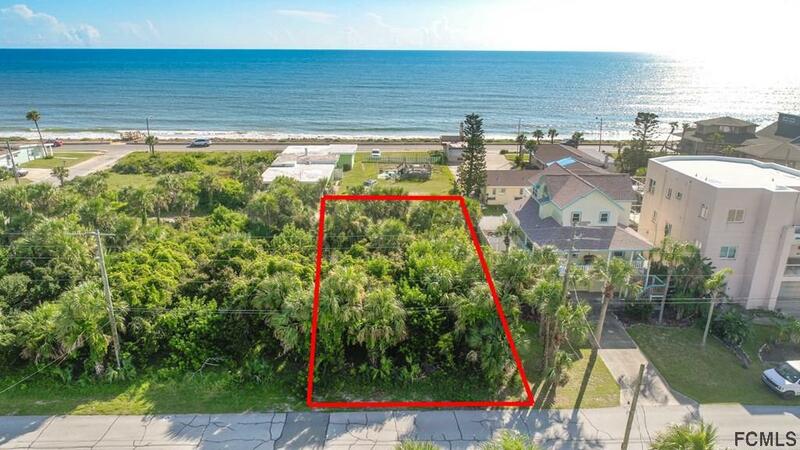 Time for you to enjoy the Florida Lifestyle.... Just Waiting For You.... Sea you at the Beach!